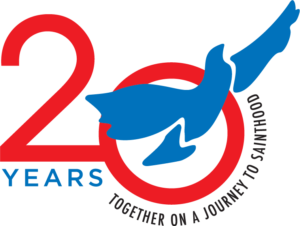 Spirit Catholic Radio is excited to announce that we’ve started our 20th Anniversary Celebration. 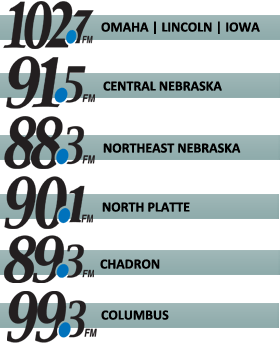 January 9, 2019 marked our 20th year of broadcasting the Gospel message in the Heartland. As a thank you to our friends and listeners for their support over the past 20 years, we’ve got a number of exciting events, activities and programs lined up. Visit on Mondays and Wednesdays from 9 a.m. to 4 p.m.
Take the challenge and change your life! Trade in your other radio station(s) for Spirit Catholic Radio for 20 days and see the difference it can make in your life. You can listen online, download our FREE smartphone app, or use the map here to find your nearest Spirit station. Let us know how the challenge goes! Email events@kvss.com. As a part of our 20th Anniversary Celebration theme, “Together on a Journey to Sainthood,” we’re bringing saints to YOU every month through “Relic Saints.” “Relic Saints” provides a month-long opportunity to venerate a real, first-class relic of a different saint each month in our Omaha and Lincoln studios. You’ll also receive a FREE prayer card specific to the Relic Saint you’re visiting! Spirit Catholic Radio will be celebrating its 20th anniversary in 2019 and we’re starting the celebration early by rolling out a special passport. This free passport includes stops across Nebraska, Western Iowa and other areas within driving distance. Get your FREE passport at Spirit studios in Omaha, Lincoln and Grand Island; Gloria Deo in Omaha and Lincoln; Cosgraves in Omaha; the Sacred Heart Parish Office in Norfolk; St. Pat’s Church in North Platte; St. James Catholic Church in Kearney; and St. Agnes and Our Lady of Guadalupe in Scottsbluff. For more info—including the prizes you can win for participating–visit spiritcatholicradio.com/passport.